The biggest markets are North America, Europe, Australia and China. 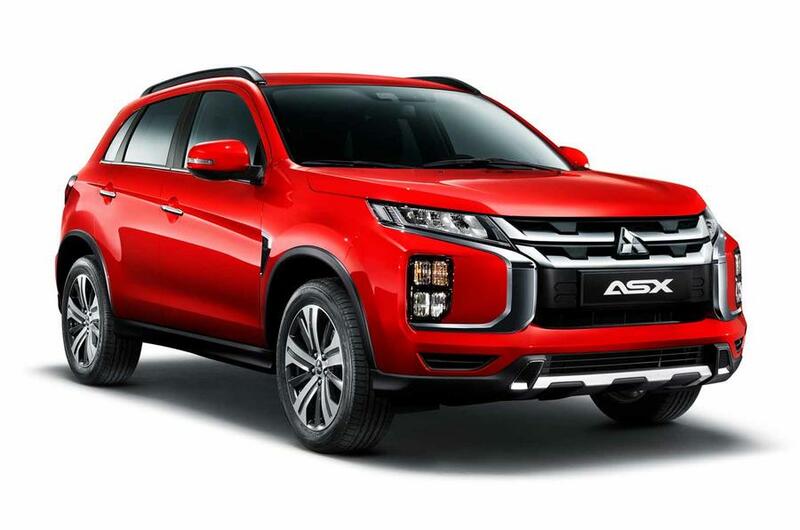 First introduced overseas 10 years back, the ASX is feeling its age now, but Mitsubishi is doing all it can to keep the compact SUV fresh until such a time as it can be replaced by an all-new model - presumably one based on the Renault-Nissan compact vehicle platform through its Alliance ties forged in late 2016. Two- and four-wheel drive versions will be available. 2020 models get the RISE impact safety body and Forward Collision Mitigation braking system. The bumper embraces the central protective shape from both sides and the squared horizontal and vertical line treatment of the grille and the skid plate under the bumper expresses strength and toughness. Three new colours are also added. In a way, the front end does resemble that of the Eclipse Cross, with sectioned-off fog lamp-signal lamp clusters placed below slimmer headlamps. Out back, new LED lamps stretch across the width of the vehicle to project a wider stance. The ASX is now available in vivid, intensely brilliant Red Diamond, sporty and energetic Sunshine Orange, and sleek, refined Oak Brown. It also has the ability to play videos from a USB flash memory stick when the vehicle is parked. Cabin changes have been kept to a minimum, but there is at least a new touchscreen infotainment system featuring a larger screen (up from 17.8cm to 20.3cm in size) and enhanced connectivity, including satnav with real-time traffic information. The app will check fuel remaining and provide navigation to the nearest fuel stations, and will provide guidance on optimum maintenance and inspection intervals.